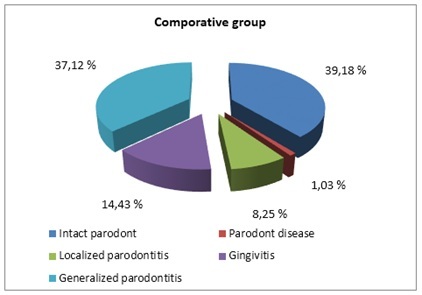 The article presents the results of clinical dental observation of 413 spirit production workers of Lviv region and it is analyzed in the state of tissues and diagnostic structure of parodont diseases. O. Mrochko. The state of parodont tissues of spirit production the workers have. 2014; 3(1): 33-35.